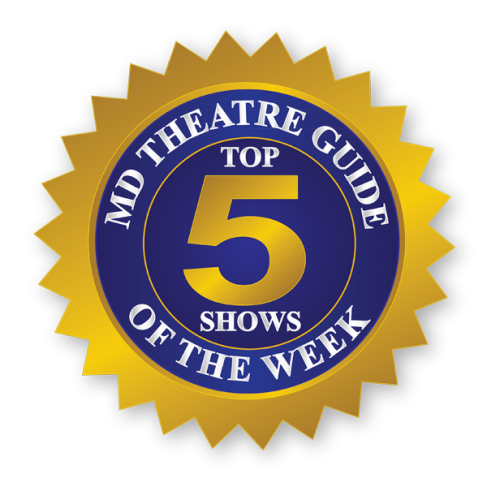 ‘Silent Sky’ at The Colonial Players of Annapolis. “Go see ‘Silent Sky’ one, two, three, or as many times possible during its one month run. It is as thrilling as a clear, nighttime sky during a dreamy summer and a wonder to behold.” – Andrew Parr. Synopsis: A “Hidden Figures” for the 19th century, Silent Sky is the true story of astronomer Henrietta Leavitt. When Henrietta Leavitt begins work at the Harvard Observatory in the early 1900s, she isn’t allowed to touch a telescope or express an original idea. Instead, she joins a group of women “computers,” charting the stars for a renowned astronomer who calculates projects in “girl hours” and has no time for the women’s probing theories. As Henrietta, in her free time, attempts to measure the light and distance of stars, she must also take measure of her life on Earth, trying to balance her dedication to science with family obligations and the possibility of love. Henrietta Leavitt explores a woman’s place in society during a time of immense scientific discoveries, when women’s ideas were dismissed until men claimed credit for them. Social progress, like scientific progress, can be hard to see when one is trapped among earthly complications; Henrietta Leavitt and her female peers believe in both, and their dedication changed the way we understand both the heavens and Earth. Henrietta (Emilie Zelle Holmstock) and Williamina (Beth Terranova) search for patterns in the cepheids. Photo credit to Colburn Images. 2. ‘Equivocation’ at Silver Spring Stage. 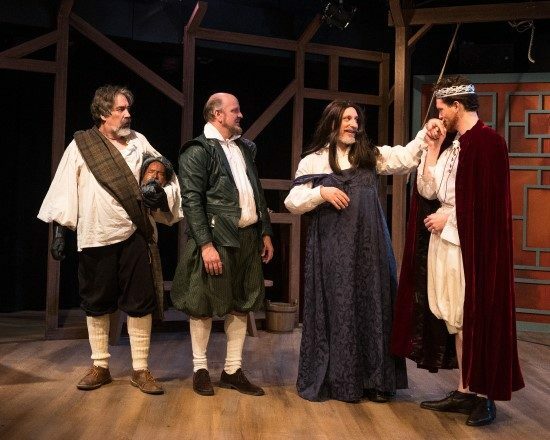 “If you are a fan of quality theatre, enjoy thoughtful well written scripts and magnificent performances, you should not miss this production of “Equivocation.” – Susan Brall. Synopsis: England, 1605: A tight ensemble of star Elizabethan actors from the King’s Men company, including William Shakespeare, are commissioned to produce an impossible-to-write show about the foiled Gunpowder Plot, where conspirators attempted to blow up the King and Parliament. Tom Howley, Keith Cassidy, David Dubov and Nicholas Temple. Photo by Harvey Levine. 3. ‘Next to Normal’ at Port Tobacco Players. “The Port Tobacco cast nails the emotional and psychological grittiness.” – Mary Ann Johnson. 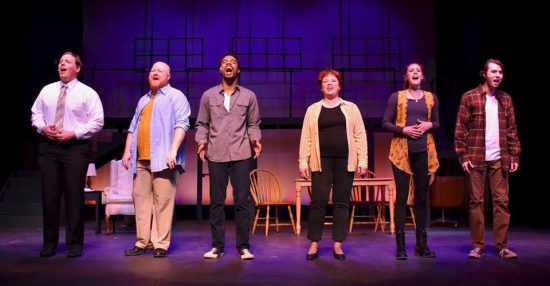 Synopsis: Winner of the Pulitzer Prize and three Tony Awards, “Next to Normal” is a modern musical theatre masterpiece that takes a searing and honest look at mental illness and the personal crises that accompany it. On the surface, the Goodmans seem to be a typical American family, but inside the walls of their suburban home an unspoken heartbreak threatens to tear them apart. Diana has struggled with manic depression for most of her daughter Natalie’s life, and when she suffers a major relapse, her husband Dan is ready to go to any length to get things back to “better than before.” With a powerful rock score that packs a punch, “Next to Normal” takes audiences on an emotional journey of love, loss, anguish, and hope. 4. ‘Jeffrey’ by Rainbow Theatre Project at DCAC. 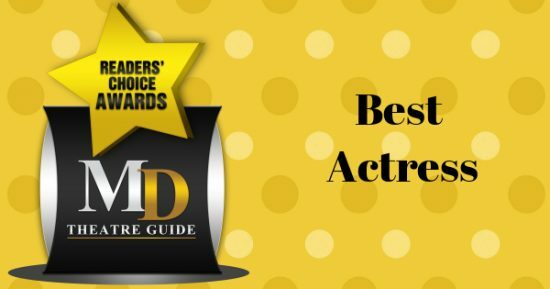 “… a thoughtful and bittersweet period piece that will resonate with a varied audience even as it narrates a particular soul’s complicated journey to joy.” – Liz Ruth-Brinegar. Synopsis: When did we begin to remember to laugh and celebrate life? Jeffrey is a young New Yorker who says he wants love, but is afraid of making a commitment. He is surrounded by friends who, in their own unique, outrageous and stylish way, tell him to live for the present and let the future take care of itself. 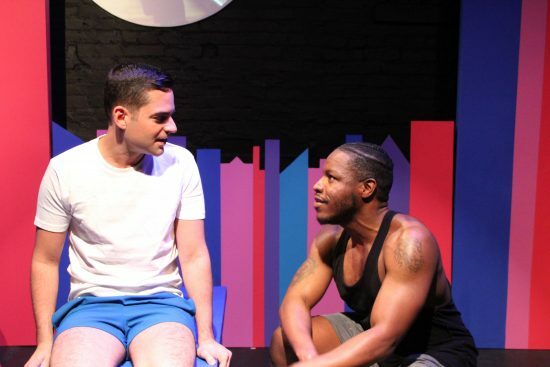 Rinaldo Martinez and Reginald Richard in “Jeffrey” at Rainbow Theatre Project. Photo by RCG. 5. 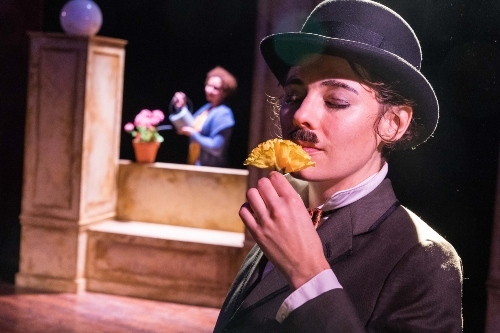 ‘Visions of Love’ at Pointless Theatre Co.
“…a stunning work of puppet-dance-theater based on the beloved film classic City Lights. –Kristen Waagner. Synopsis: City Lights is a 1931 American pre-Code silent romantic comedy film written, produced, directed by, and starring Charlie Chaplin. The story follows the misadventures of Chaplin’s Tramp as he falls in love with a blind girl and develops a turbulent friendship with an alcoholic millionaire. 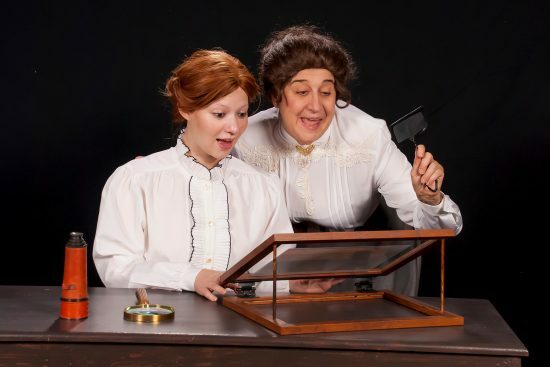 Sharalys Silva as The Blind Woman and Kerry McGee as The Tramp in “Visions of Love” at Pointless Theatre Co.
Opera News: The Maryland Lyric Opera presents ‘Lucia di Lammermoor at the Clarice Smith Center.